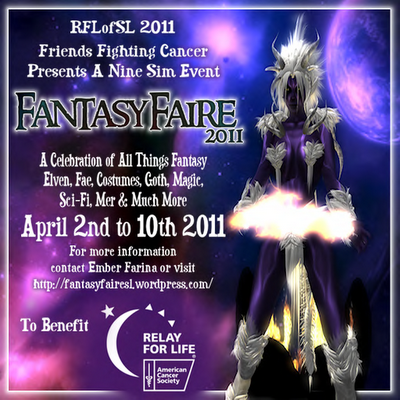 Fantasy Faire is hosting sims for RFL this year! Some of the most well known and best fantasy designers will be supporting the cause! I will be posting some featured items over the next week to give you a sneak preview! I am blogging for the Enchanted Mysts sim. Look for an SLurl to come soon! Please take a moment to stop by and check them out.